At CyVerse UK we like open science and we love to enable collaborations. We have the computational power to make scientist lives easier and we want to help projects that strive to do the same, integrating them in the set of resources powered by CyVerse UK. We are currently hosting a number of projects, that benefit from our cyberinfrastructure and data storage. Most of these projects are developed and maintained here at the Earlham Institute, but we are always open to hear your ideas and provide new resources to the life science community. COPO (Collaborative Open Plant Omics) is a BBSRC-funded brokering service (https://copo-project.org/) between plant scientists and public repositories, enabling management, aggregation and publication of research outputs. 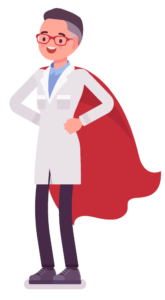 COPO eases the process of metadata attribution by presenting the same intuitive interface for working with different repositories, and a wizard to guide the user through the different steps of adding metadata to research objects. Accessions from submitted objects are managed in COPO, enabling finding and reusing of such objects across the Internet. The Grassroots Genomics project (https://grassroots.tools/) aims to facilitate consistent approaches to generating, processing and disseminating public wheat datasets so that efforts in wheat research can be translated into community valuable resources thanks to effective sharing and re-use of data. The CyVerse UK computational pool also hosts a private Galaxy instance reserved to collaborators at BeCA in Kenya and runs its analyses.